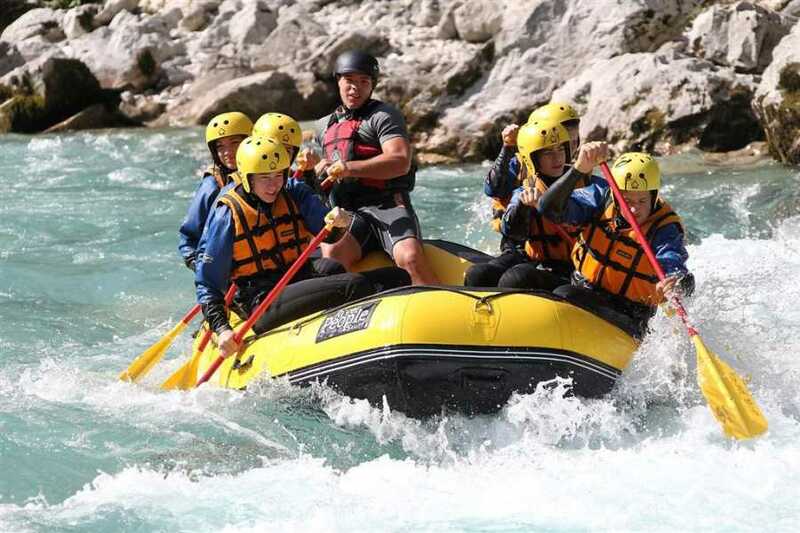 You’ll do the most popular water activities in Slovenia, rafting and canyoning in Soča Valley , Bovec. On a scenic drive from Ljubljana to Bovec you’ll see half of one of the most diverse countries in Europe. Therefor offers amazing outdoors, like whitewater rafting on Soča and canyoning in Sušec. Experience two Slovenia’s most popular holiday adventures in one day, to have one of the best days in your life. Holidays require a minimum number of 2 clients to confirm. Morning: Your must do Slovenia adventures holiday tour will begin with scenic transfer from Bovec to Soča river, close to Boka falls (106m) view point hike. 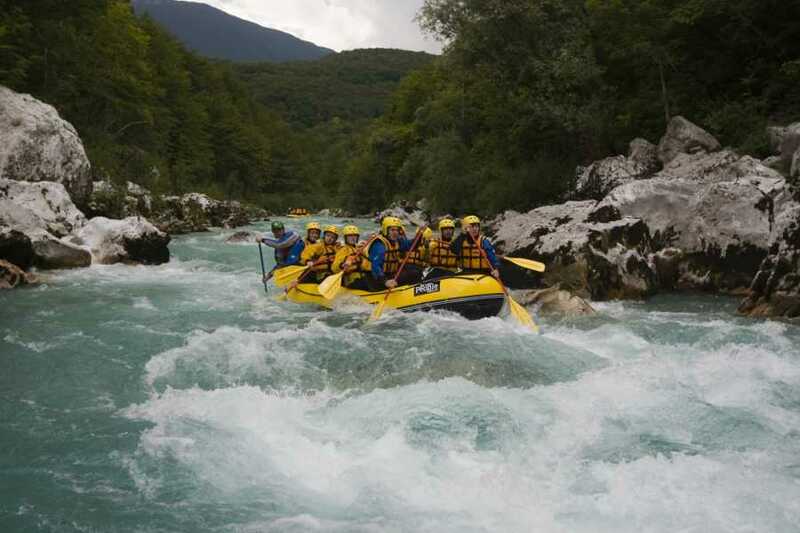 Your Fun Soča river rafting adventure is easy and relaxing until you head down to Trnovo section. Between Polovnik and Stol mountains are exciting class 3-4 sections and fun wave chains. Boating in lover Soča valley you’ll see Alpe Adria trail which is crossing the river via footbridge, heading to Adriatic sea. 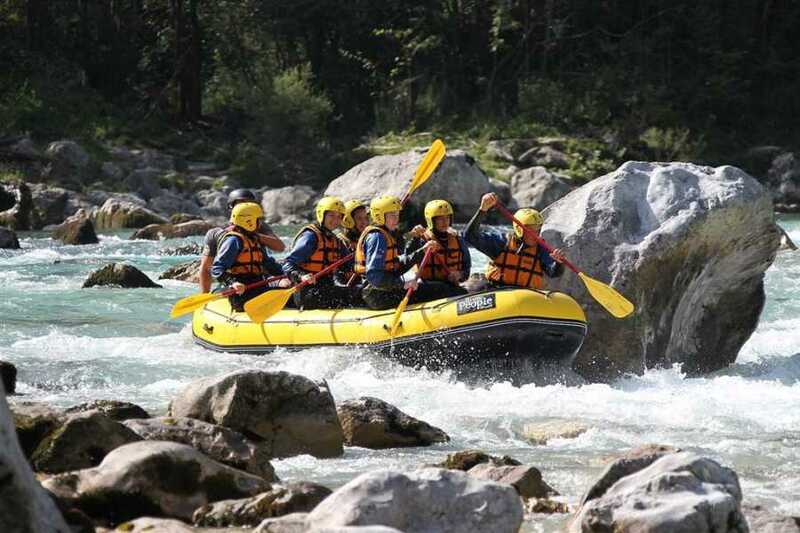 You’ll tick off your bucket list whitewater rafting half way to Kobarid and carry the raft to the parking lot. Have a light lunch before second adventure of Slovenia adventures package. We’ll recommend a great local burger place, because after rafting & canyoning Slovenia adventures hunger strikes hard. 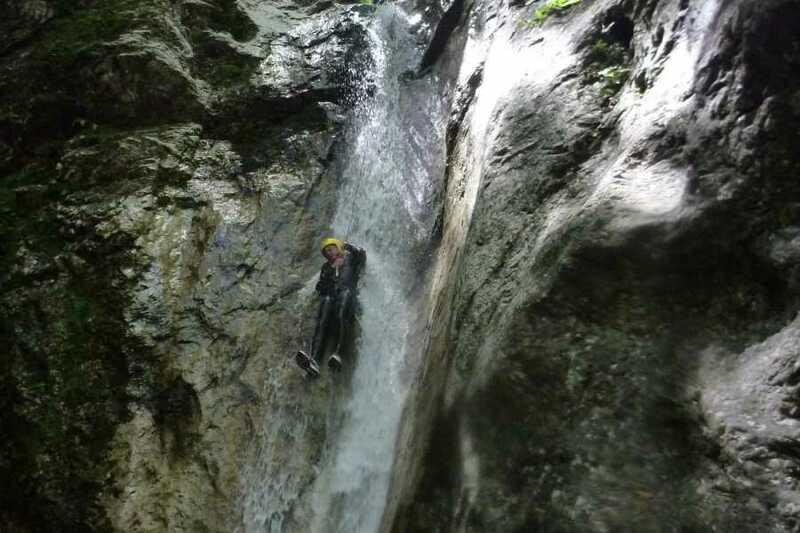 Afternoon: Canyoning in Sušec natural aquapark is about 20min hiking in the foothills of Stol mountain. You’ll find open views of World War I front line, from Rombon mountain to Krn mountain. 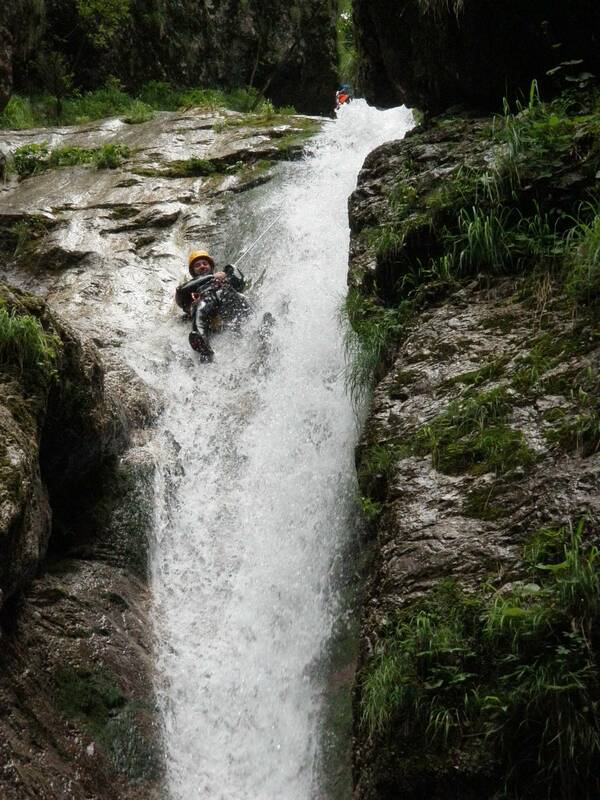 More than 16 falls await for your happy cheers in commercial canyoning Sušec adventure tour. 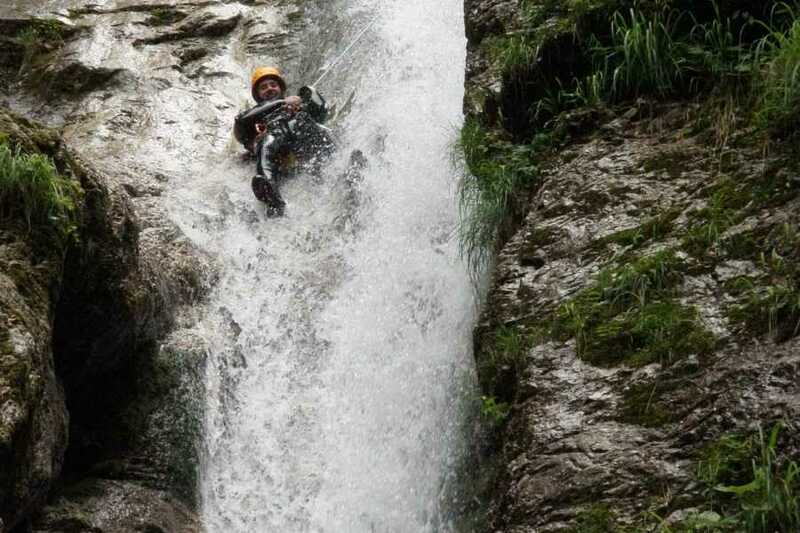 You’ll love this canyoning playground with natural toboggans and jumps. Swim and feel like in aquapark spa pools, just deep in nature. 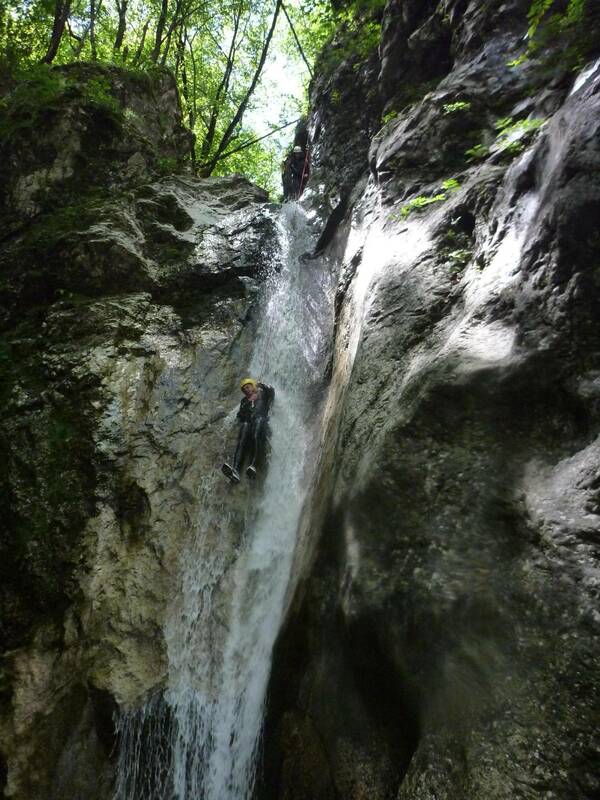 Short via ferata and a 12m Sušec waterfall abseil are exciting highlights of Sušec canyoning experience.